Hunger is eating away at your very core. It’s been two weeks since your last good meal and your Wenja tribe mates seem even hungrier than you. As the plains give way to some rolling foothills, a small herd of mammoths are spotted and everyone is eager to take one down. You sneak through the high grass, stalking and searching for a mammoth small enough for your weak tribe to take on, but yet large enough for all of the hungry mouths to get their fill. Patience and stealth are the keys to success and you only hope the growling from the pit of your stomach doesn’t alert your prey. Up ahead, separated from the bulk of the herd, is a mammoth that should fit your needs. You sneak into position while the rest of the tribe does the same. The very survival of your tribe hinges on this moment as you take aim with your spear and pray to the spirits that your aim is true. With everyone in position, your attack commences. Spears and arrows fly true and the young mammoth starts to stagger due to the loss of blood and your tribe’s unrelenting attack. Success, and a hearty meal, are within your reach and you know it’s only a matter of time now before your mammoth BBQ begins. Out of nowhere, one of your tribe mates lets loose a blood curdling scream from somewhere in the high grass. Within seconds another tribe mate joins in on the screaming chorus and you realize that you and your tribe weren’t the only predators stalking this young mammoth. You can only watch in horror as another very large saber tooth tiger takes out one of your tribe mates 50 yards away and you know that the mammoth you’ve wounded is no longer your next meal. Escaping with your life has now become your top priority, and running is your only chance to not become the next meal of a hungry tiger. Running for your life on an empty stomach does not make for a fun time, but run you must. Not being at the top of the food chain was a dangerous place to be in prehistoric times. While Chandler was introduced to the game play aspects of Far Cry Primal back in December, he was left in the dark about how the story line would evolve. Ubisoft held another press session at their San Francisco office last week, and their focus this time was all about the story and how the game play fits into prehistoric life. You play as Takkar, a member of the Wenja tribe of hunters and gatherers. There are two other tribes that you’ll have to keep an eye out for as both are your enemies and will attack you on sight. 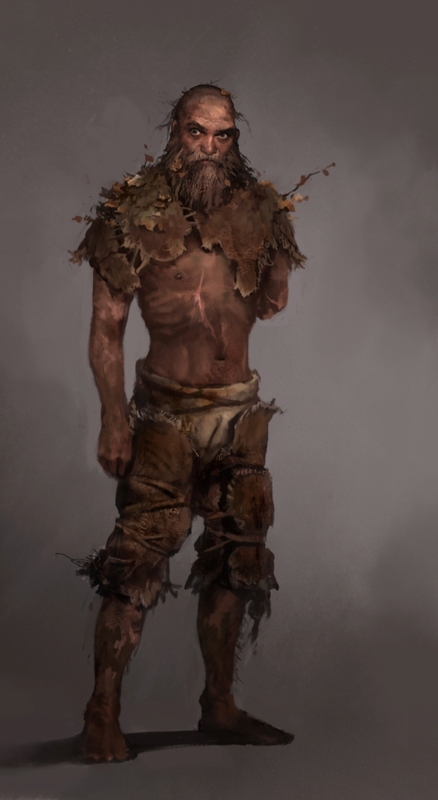 Udam is a tribe of cannibals that will eat anything with a heartbeat, including you, and the Izila tribe is known for their ability to control fire. The opening sequence to the game shows you, from the very beginning, that you are not at the top of the food chain and that the world you live in is a very dangerous place. So dangerous, that every member of your tribe is wiped out or scattered and you’ll have to do many things to create a safe place for them to be able to survive and thrive. You’ll find that you can’t do this by yourself and a shaman teaches you the ways of the Beastmaster and gives you the ability to tame wild beasts and have them not only fight by your side, but also can be used as a weapon on distant foes. The storytelling style used by the developer really gives the sense that you are living 12,000 years ago and I can’t wait until I can fully play through more than just a few hours of the game and explore every nook and cranny of the huge open world. The language spoken by all of the characters is a primitive language with no resemblance to English, so be prepared to read many subtitles. That one feature really drew me into the story and helped with the overall feel of being in this prehistoric age. Far Cry Primal is set to be released on February 23, and based on what we’ve played so far, it’s shaping up to be one of the year’s best action games.